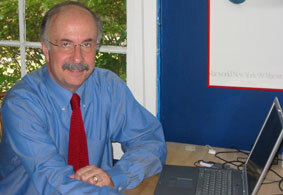 John G. Orme is a professor at the University of Tennessee in the College of Social Work. He has an M.S.W. and Ph.D. in social work from Washington University in St. Louis. He also completed a two-year post-doctoral fellowship on the Delivery of Mental Health Services, University of Chicago, Department of Behavioral Sciences, Committee on Methodology of Behavioral Research. Prior to joining the University of Tennessee faculty he was a faculty member in social work at Louisiana State University and at the University of Maryland. He has taught graduate courses related to outcome-informed practice since 1985, as well as M.S.W. and Ph.D. level courses on research methodology and statistics. Dr. Orme’s interests include outcome-informed practice, measurement development, applied statistical and methodological issues, and foster care. He has published numerous articles in refereed social work and interdisciplinary journals on these topics, and he is a co-author of five editions of Evaluating Practice: Guidelines for the Accountable Professional. His most recent book, co-authored with Terri Combs Orme, is Multiple Regression with Discrete Dependent Variables. Terri Combs-Orme is The Urban Child Institute Endowed Professor of Neuroscience in the College of Social Work, University of Tennessee. She earned her MSSW at the University of Texas at Arlington and her PhD at Washington University in St. Louis. Before joining the University of Tennessee faculty she taught at Louisiana State University, the University of Maryland, and The Johns Hopkins University. She teaches courses in lifespan development and writing critical literature reviews at the BSW, MSSW, and PhD levels. Dr. Combs-Orme’s interests include infant brain development and parenting, and she is a Fellow at The Urban Child Institute in Memphis, TN. 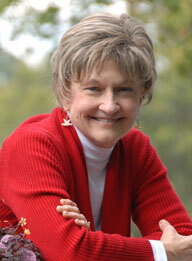 She has published numerous articles in social work, public health, and medical journals. Her most recent book, co-authored with John Orme, is Multiple Regression with Discrete Dependent Variables.